Highly-anticipated hack-and-slash game Diablo III will be out for PC and Mac on May 15, developer Blizzard said today in a press release. You can pre-order the game on Blizzard's website right now. The third game in the Diablo series, Diablo III will be available both in retail stores and digitally via Blizzard's website for $60. A retail-exclusive Collector's Edition, packaged with the full game, a behind-the-scenes Blu-ray/DVD set, a soundtrack CD, an art book, and full copies of Diablo II and its expansion pack, will also be available for $100. Until May 1, you can earn yourself a free copy of Diablo III by committing to Blizzard massively multiplayer game World of Warcraft for a year. If you sign up for the World of Warcraft Annual Pass, you'll be able to download a full copy of Diablo III from Blizzard as soon as it's available. 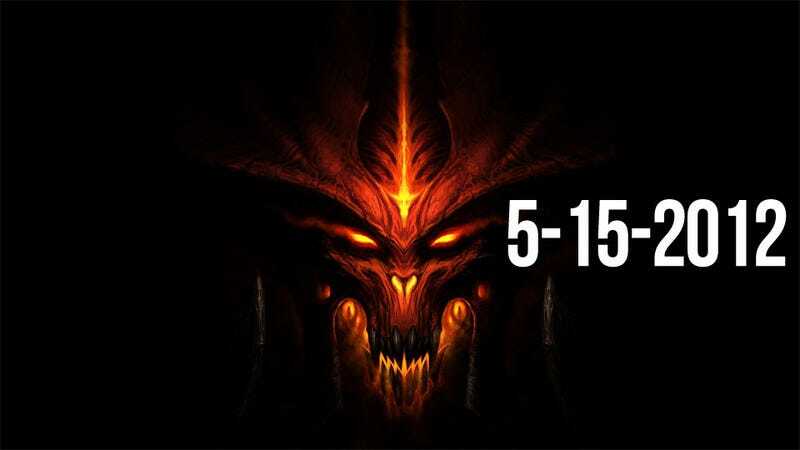 Blizzard did not mention when the Diablo III beta, which launched last September, will close its doors.